Every Christmas an ancient time-and-space traversing visitor swoops in on his flying ride to give a gift to the children of the world. But instead of a jolly elf with reindeer, this one is a Time Lord with a TARDIS. Yes, it is time again for the "Doctor Who Christmas Special," a holiday tradition as special to nerds as Towel Day (and maybe even Life Day). Airing tonight on BBC America at 9 p.m. ET, "The Snowmen" is 11th Doctor Matt Smith's third special, but marks an important first for him - the arrival of a new Companion. Following the untimely departure of the Ponds, The Doctor is out of the saving-the-world business, and has become a curmudgeonly Scrooge in Victorian London. 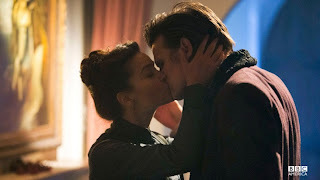 Though he keeps company with allies Strax, Vastra and Jenny (who comprise something of a Sherlock-esque sleuthing team), The Doctor has largely separated himself from humanity, but things change when he encounters Clara. Played by Jenna-Louise Coleman, who we met as "Oswin" in the Season 7 premiere "Asylum of the Daleks," Clara is a smart and saucy woman with a double life. When she stumbles into The Doctor at Christmastime, and onto a race of monstrously animated Snowmen controlled by Doctor Simeon (Richard E. Grant), Dickensian England gets interesting. Unlike some other Christmas Specials, "The Snowmen" plays an important role in setting up the second half of Season 7 - and ranks as one of the best specials in the rebooted show. The grief-stricken Doctor is still coping with losing the Ponds, and is living with his head in the clouds. Meanwhile, it introduces Coleman as new Companion Clara and sets up a mystery for her character. Moreover we get to see glimpses of a new TARDIS and are treated to a few surprises. To begin with, I recently just re-watched "The Next Doctor" Christmas Special with David Morrissey, and wondered what you thought about an unofficial Doctor becoming The Governor on The Walking Dead. I’m a huge fan of The Walking Dead, and it’s exciting to see him in that sort of badass villain. He’s a fabulous actor. What was the biggest challenge in transitioning to a companion since this is the first change in companions for you. Change in Doctor Who is always slightly resisted, but that’s what the show is based on - change and evolution, and embracing that. Whether it be with The Doctor or a companion. In story terms, The Doctor, we leave him having just lost the Ponds, and he’s not in a great place. He’s kind of lost his mojo a bit and his sense of adventure and I think this season certainly looks at him re-discovering that fire with the character of Clara. For me and Jenna, as actors, it’s kind of like the show in many ways. You develop a chemistry and a work ethic together as the season goes on, you know? What sort of thing are you excited for the audience to see with Jenna? Well, it’s the mystery that surrounds her that, I think, will be of real intrigue this year. I think it’s cool, because we kind of have this gang with us this season, as well, Strax, Vastra and Jenny - who are brilliant and funny, and one’s a lizard assassin, one’s a sort-of ninja from Victorian times and the other’s just a complete psychotic war-monster. You sort of add that into the mix. And Richard Grant [in "The Snowmen"] is in fine form as a villain. So, there’s a lot coming up. Are Strax, Vastra and Jenny going to be sticking around for a good portion of the season? Yeah, they’re around. They’ll be back. And [River Song, played by Alex Kingston] is always swooping in. How is that going to work? This seems the character of Oswin is directly more flirtatious, and it seems like there’s more romantic spark right away, which is never quite realized with Amy. No, because she was sort of in love with Rory, wasn’t she? And there was always that. The Doctor was sort of like their weird granddad/child. You’re a married man and kissing another woman! I know! I mean, he’s still … you saw me and the kiss. I’m flailing around like a wombat. He still doesn’t really know what to do. It’s the human stuff that he doesn’t really know how to compute or deal with. I don’t know! It’s funny, isn’t it? Everyone that comes with us ends up taking the fall at some point. I think it’s very interesting for both characters, if you look at the bloods on their hands. But, actually, James Bond and The Doctor – they’d probably get on – but I think The Doctor would just be like, "Let’s talk before we shoot, and why do you keep kissing everyone? What is that all about? Let’s go. Let’s move on." I like to think they’d get on quite well. Maybe The Doctor would just think he’s really cool. I don’t know. He does wear bowties, and has cool one-liners. Are there still moments where you just think, "This is so freaking cool that I get to do this"? Oh man, every day playing that character, because it’s limitless. It’s boundless. I’m more so very fortunate that I have Steven Moffat at the helm of it, who, in my eyes, is a complete genius. So, I mean, honestly, not sounding too happy about myself, but it’s every day that I’m grateful for it because it offers you so much opportunity, especially as an actor. Do you like being able to go in a darker direction than you have before, in the Christmas Special? And is that going to resonate? I think so. Over the three seasons I’ve done, I’ve always wanted there to be a slight variation, so you look back on each season and go, "Yeah, I look back, seeing The Doctor in 'The Eleventh Hour,' sort of like a newborn lamb - and now, he’s a bit slower." But still, he’ll get his mojo back. He’s got to; he’s The Doctor. You see that mojo come back a bit in the Christmas Special, right? Once the bowtie is on, he’s like, "Okay, game time again," you know? Would you ever want to do the evil twin Doctor? I love the idea. Watch this space is all I can say to that. So we’re going to see "evil" you? You might be, you might not [laughs]. We heard that you had been filming with John Barrowman, is that the case? I’ve talked to you so many times from when you first came presenting The Doctor in America to now; how is the fandom transitioning even further? Evolving even further? That’s been one of the most exciting parts of my tenure, really, is seeing the growing evolution of the show in the States - and just the general awareness of the show. I think the viewing figures - it was the biggest selling show on iTunes last year. TV Guide, Entertainment Weekly - things like that are real big steps for the show, and I feel very proud to be a part of it. It is nice to work on something that feels like it’s in a moment, or of a moment, you know? Where are the American fans right now? We know that they’re younger. You get a lot of Gen-X fans and a lot of old-school, Tom Baker fans. Where do you see the American fandom going? Interestingly, I think more children will come on board. I was talking to Alex Kingston who says when she goes to pick up her kid from school, the kids go, “River Song! River Song!” I think it would be interesting - and good! - because it is right that it’s for children, as well. So, I think the audience may get younger. But what do I know, you know? Of the old one? Yeah, yeah. That sort of fit your sensibility. All the bits? Yeah, I know. I miss certain bits of the old one, as well. But like with everything on the show, I think you’ve got to just go with the change. 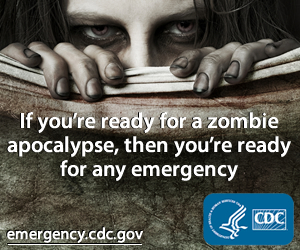 Otherwise, they’ll leave you behind. 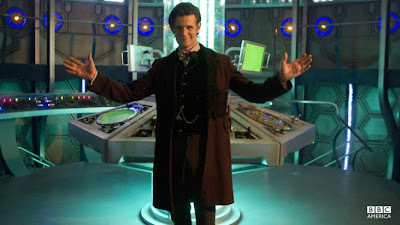 They’ve kind of gone more traditional, like more back to Jon Pertwee, Sylvester McCoy - like, if you look back at it, it’s a definite nod to an older version of the show and the TARDIS. I appreciate you calling back to older Doctors. It’s a lot of homework to do. Do fans ever try to quiz you on it? Yeah. Interestingly, in "The Doctor’s Wife" - the previous Neil Gaiman episode - there’s a scene where he builds a TARDIS out of old TARDISes. He’s in the TARDIS junkyard, and there was a guy on set who could name - just from the wall - what TARDIS, what era, what episode. So, for any Whovians out there, if you can name what TARDIS, what era, what episode, then you know your stuff. I’ve watched the show a long time, but I don’t know how I would do in a trivia game. Do you think you’d do well? No, because I know it, but I’m not an encyclopedia like some fans. And there’s so much to know! Could you ace a game of Doctor Who trivia? You know what? I wouldn’t want to say yes. I don’t think I could. Steven could. Steven knows it like finite. He knows everything about it. He’s a complete nerd. Well, I know we need to wrap up. Great seeing you. Thanks again for the time, and enjoy your time in New York. Yeah, thanks so much. It’s always a pleasure to see you, man. I hope I’ll see you in spring.